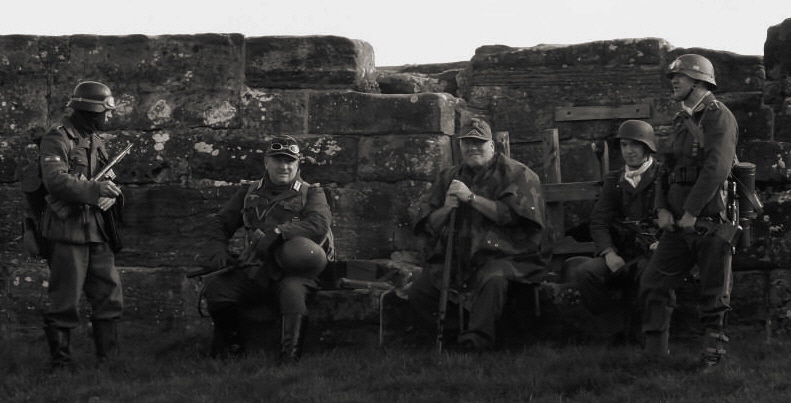 Are you interested in becoming a re-enactor and taking part in this fantastic pastime? Do you want to be part of a group with an impressive history? • Are you over 18 years of age? • Are you reasonably fit and healthy? • Are you able to spare between 4 to 8 weekends away from home each year? • Are you a team player who would be committed to working with other members to portray the correct impression of the ordinary Austrian or German Soldier in the latter stages of WW2? • Are you interested in this particular period of history and keen to share that knowledge and passion with members of the public? • Are you able to get around the country under your own means to our events throughout the year? Why re-enact as an Axis Soldier? People sometimes ask - "How can you wear that uniform and not feel guilty about what the Germans did in WW2?" Well, you can't help feeling a greater sense of self-consciousness when you are at an event dressed as a German or Axis soldier because some people will think that you are a Nazi... the embodiment of evil in the 20th century. But, for those of us who study the subject, we know that the average German soldier was not unlike his Allied counterpart. The German soldier was a man called about to do a job, he had not made the war come about nor was he a political fanatic. He was well disciplined, obeyed his orders and fought bravely. Toward the end of the war he became disillusioned, but nevertheless he did his duty well. In defeat, the German soldier retained his pride and self esteem. Even when his country lay in ruins, every man a prisoner and the people of his nation refugees, he knew that he had belonged to what was once considered the best armed forces in the world. In the end, the German soldier realised that he had fought for the wrong ideals and the wrong causes. He was misled by a criminal leadership into which he had placed his trust. He was ashamed of the atrocities that had been committed and he was trapped in history as an instrument of war. 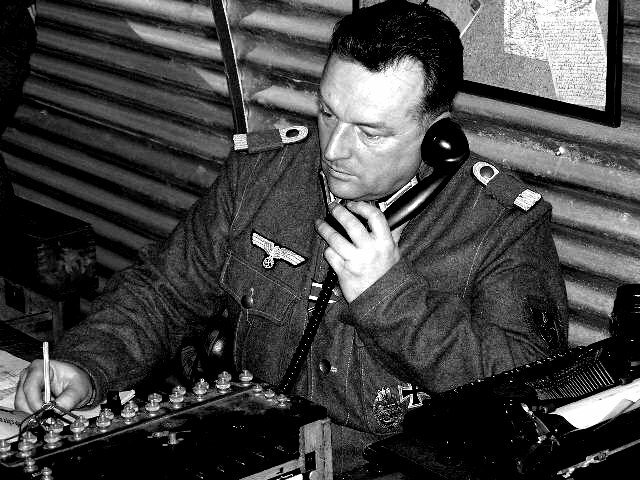 Then our Recruitment Officer, Hauptmann Wolfgang Kampfer would really like to hear from you! We do not embrace the philosophies and actions of the original NSDAP (Nazi party), and we wholeheartedly condemn the atrocities which made them infamous. May the victims of this unspeakable horror rest in peace and never be forgotten! The Reichsgrenadier Division 'Hoch- und Deutschmeister' is a non-political re-enactment group that does not and will not condone members with extremist political views.